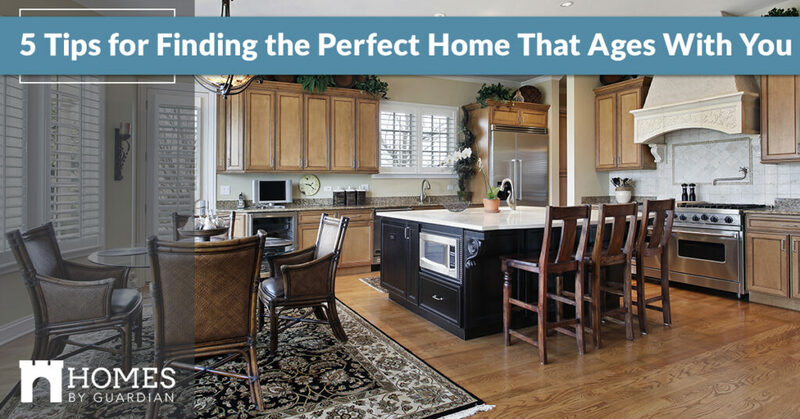 As you age there are different features and functions you look for in a home — whether you’re building a new home or looking to remodel your current one, it can be easy to overlook the things we’ll need in a house as we age. Most homebuyers have an idea of what a dream home looks like to them — there are the open floor plans, floor to ceiling windows that flood light, and expansive kitchens. And, through the different seasons and stages of our lives, this picture may change. If you’re looking to raise a family, a large lot that is spacious may be number one on your list, while if you are well into retirement and ready to slow down a little bit, yard work is no longer a desire or priority. If the season of life you’re in beckons relaxation and a leisurely being, The Pointe Cheyenne is a lovely multigenerational community inclusive to all. The Pointe boasts The Estates and Wine Collection, that include alluring ranch-style homes that cater to a carefree lifestyle in Cheyenne. Partner with Homes By Guardian and schedule a showing in The Pointe, and in the meantime, follow along for tips for discovering the perfect new home that ages with you! Though you may have a well-kept, beautiful home, it may no longer be what you really need. There is always the option to remodel, but if you’ve raised a family in this house, and now you’re empty nesters, the space can be too much. Not only is upkeep on the interior time-consuming, but so is the mature landscaping on the exterior. Perhaps you’re at the point where you just want to be done with cleaning multiple rooms and doing yard work. If you are ready to ditch the oversized house and lot that it’s on, below are some tips and considerations when buying a new home. Invest in an open, flat floor plan. Typically this looks like a patio home or ranch-style home. A large portion of the homes in The Pointe are ranch homes that keep a very basic, yet charming floor plan. As you age, you want to avoid spaces with steep staircases or high thresholds because stairs, unfortunately, lead to trips, falls, and accidents that can quickly strip a senior of their independence. Look for a floor plan that has all your amenities on one level. How many people have laundry rooms in their basements? Surprisingly enough, laundry room basements are a thing! It is understandable to have the laundry room secluded and away from the main living space, but again, as you age, just doing laundry can become a hazard if you are hauling loads of laundry up and down stairs. Instead, look for a floor plan that has all the important amenities — kitchen, full bathroom, laundry room, living room, and bedroom — all on the main floor. While standard homes don’t have to be ADA compliant, it never hurts to assess whether you and your partner could get around if one of you were in a wheelchair or walker. Wood flooring is a great option to have for wheelchairs or a low-pile carpet. It is also important to consider how wide the hallways and doorways are — the bigger the better! The more maneuverability you have, the more accessible and accommodating your home can be. Find a floor plan with a walk-in shower. 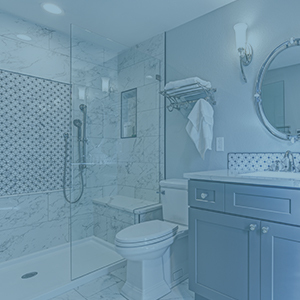 Walk-in showers are a reprieve to seniors — there are no high steps like there are to get into a bathtub and your slipping risk is greatly reduced. Even better is a walk-in shower with built-in seats and grab bars. As we age, we require more light, so it is important to find a home that has a good mix of natural and built-in lighting. Look for layered lighting with an amalgamation of general (overhead) and accent (sconces, can, and track lighting). The more lighting options you have, the better you will be able to see and move around your home safely. As we age, the things we require in a home changes — we exchange sprawling acreage for low-maintenance landscaping, anything to make life more calm and relaxed. If you’re ready to invest in a new home, look for an open floor plan with all the amenities on the main level, examine the accessibility, and look for optimal lighting. This Homes By Guardian community is suitable for seniors looking to transition into a low-maintenance way of living. Enjoy ranch-style homes in The Estates or The Wine Collection divisions of The Pointe. Many desirable features such as an open, flat floor plan and walk-in showers are available. To tour The Pointe Cheyenne community, connect with us today!